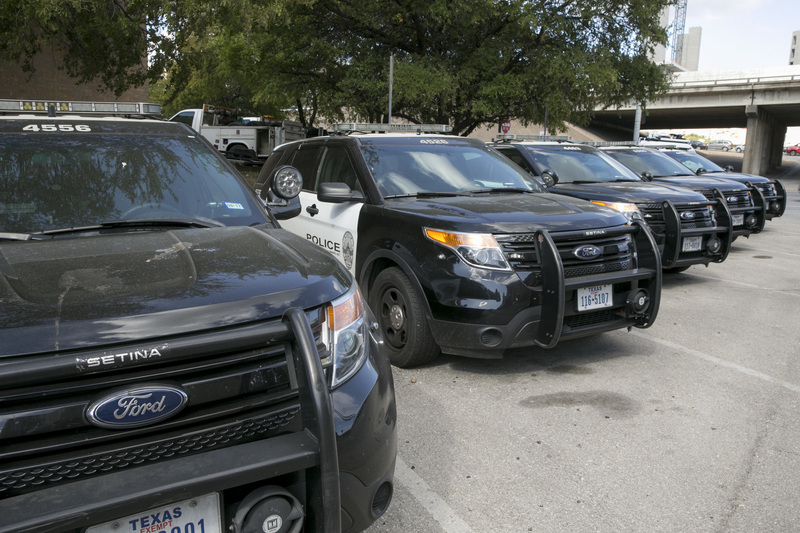 AUSTIN, Texas (AP) — Following numerous complaints and reported health problems, the Austin Police Department pulled nearly 400 Ford Explorer Police Interceptor SUVs from its patrol fleet Friday over worries about exhaust fumes inside the vehicles. The vehicles are the same as those used by several Southern Utah police departments. However, while city officials told St. George News they have received notification from Ford, at the time of this report, no one in the local police departments has reported similar problems. Ford Motor Co. responded to the Austin Police Department’s actions by promising to repair the vehicles, even as it continues to investigate the cause of the problem. The move comes as U.S. auto safety regulators investigate complaints of exhaust fume problems in more than 1.3 million Explorers, model years 2011-2017. In Austin, more than 60 officers have reported health problems since February, and more than 20 were found to have measurable carbon monoxide in their systems, city officials said Friday. In an investigation started approximately a year ago, the National Highway Traffic Safety Administration has found more than 2,700 complaints of exhaust odors in the passenger compartment and fears of carbon monoxide. Among the complaints were three crashes and 41 injuries, mostly loss of consciousness, nausea and headaches. Many of the complaints came from police departments, which use the Police Interceptor version of the Explorer in patrol fleets. Police complaints included two crashes with injuries and one injury allegation due to carbon monoxide exposure. In Southern Utah, there does not seem to be a problem with the Interceptors being used by law enforcement. Marc Mortensen, assistant to the St. George city manager, said his department received an email about the issue Friday. No St. George police officer has noticed any exhaust smell or had any carbon monoxide poisoning side effects, Mortensen said, as their department is careful about sealing any holes in the body. In a statement released late Friday, Ford said police and fire departments routinely drill holes in the backs of vehicles to add customized lighting, radios and other equipment. Cedar City Police Department utilizes five Ford Explorer Police Interceptors, Sgt. Jerry Womack said. The department is aware of the issue, he said, but has not experienced any incidents or had any reports of problems. Hurricane Police Department, which also uses the Interceptor, said the same, adding that they will follow up if necessary. While several police departments have been aware of the issue and installed carbon monoxide detectors in their vehicles, Austin appears to be first major city to pull large numbers of police Explorers off the road. Ford said it will cover the cost of repairs to any Explorer Police Interceptors that may have this concern, regardless of age, mileage or modifications. The company said it will check for holes and seal them, recalibrate the air conditioning to bring in more fresh air during heavy acceleration and check engine codes to see if the vehicles have a damaged exhaust manifold. “There is nothing we take more seriously than providing you with the safest and most reliable vehicles,” said Hau Thai-Tang, Ford’s executive vice president of product development. The decision by Austin police left the city scrambling to find replacement cars for more than half of its patrol fleet. The Police Department said it will move equipment from the Explorers to about 200 Ford Taurus and Crown Victoria models, many of which will be unmarked, and have them ready for patrol ready by Monday. Interim Police Chief Brian Manley said Austin will have just as many officers on patrol, but that they will ride in pairs. The city will closely track response time to emergency calls. The city installed carbon monoxide alarms after officers began reporting getting sick while in the vehicles and parked 60 of them when the alarms activated. Of the 20 officers found to have elevated levels of carbon monoxide, three have not been able to return to work. The National Highway Traffic Safety Administration has said nearly 800 people have complained to the government about fumes, while Ford has received more than 2,000 complaints and warranty claims. The agency tested multiple vehicles at its Ohio research center and made field inspections of police vehicles involved in crashes. As of Thursday, the agency had found no evidence or data to support claims that injuries or crash allegations were caused by carbon monoxide poisoning. The agency said it had early tests that suggest carbon monoxide levels may be higher in certain driving conditions, but the significance and effect of those levels remain under investigation. The safety administration says its investigation suggests the Ford Explorer Police Interceptor is experiencing exhaust manifold cracks that are hard to detect and may explain exhaust odors. Investigators are evaluating the cause, frequency and safety consequences of the cracks, and whether Explorers used by civilians are experiencing cracked manifolds, the agency said. Despite this, Friday’s statement from Ford said that nonpolice customers should take their Ford Explorers to a dealership if they have concerns. Sean Kane, president of Safety Research and Strategies Inc., a Massachusetts firm that does auto testing for plaintiffs’ lawyers and other clients, said he expects other law enforcement agencies will now check their patrol fleets and may face the same dilemma as Austin about how to maintain patrols. “It’s not an easy decision whether you’re a large city or small town,” he said. Written by JIM VERTUNO, Associated Press. St. George News reporter Ric Wayman and Associated Press auto writers Tom Krisher and Dee-Ann Durbin in Detroit contributed to this report. Copyright 2017 The Associated Press as AP portions. All rights reserved. This material may not be published, broadcast, rewritten or redistributed. These guys/ladies have a tough enough assignment dealing with the wingnuts that traverse Washington County. Instead of waiting for symptoms of CO poisoning, why can’t the city buy each police vehicle a simple CO detector? It may take a while to discover the exact root cause of the problem shown in Austin, and in fact may be localized to their version of the vehicle, but in the mean time can’t we spend a few bucks for each SG cruiser…..? CO has no smell, making it all the more deadly. Interesting that Ford is claiming it is a problem caused by the emergency vehicle equipment installers. We might be able to buy that, except for the number of non emergency use i.e. family cars where people have been claiming the same problems. Exactly. I’d say it sounds like Ford’s legendary quality strikes again. It’s a bit ironic but if you take a vehicle like a toyota it’s pound for pound a lot more american than a vehicle like a ford or gm. Ford and gm have an extensive parts network supplied from china, and also a lot from mexico. If you want to buy american you don’t buy ford. Really, the only thing american about ford’s vehicles anymore is the name ford. I was wondering about the SG Fleet when I read about the Austin problems. I think CO detectors should be installed in all fleet vehicles with this suspect problem. Take them off the road in rotation for repairs. This is nothing to be casual about.